A convicted murderer who was on the loose from Ford Prison has been arrested in Hampshire, Sussex Police has confirmed. Jeremy Brabrooke had last been seen at the prison on Wednesday (November 14), and police requested help from the public to ‘locate and detain’ the 56-year-old. 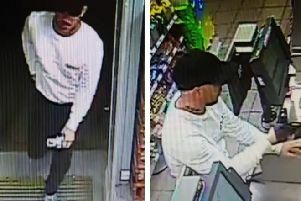 Police, who previously released a CCTV image of Brabrooke at St Faith’s Church in Havant, said he was found in Hampshire yesterday (Monday November 19). A police spokesman added: "Members of the public and media are thanked for their assistance." According to the Ministry of Justice website, HMP Ford is a Category D establishment with an ‘emphasis on resettlement’. Formerly a fleet air arm station, HMP Ford's website said it converted to an open prison in 1960, which means it has minimum restriction on inmates’ movements and activities.